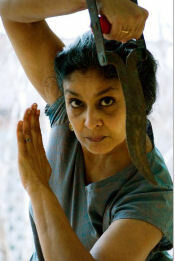 Gitanjali Kolanad is an Indo-Canadian writer who teaches the martial art form kalaripayat, after having been a bharatanyam dancer for more than thirty years. She won second prize in the 2009 CBC Literary Competition for the second story in this linked collection, “The American Girl”. 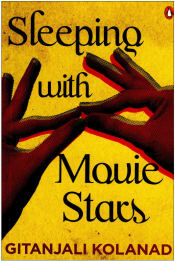 This collection of eight short stories traces the life of a dancer through the years. In the seventies she is sent as a teenager from Canada to study dance in India, away from the corrupting influences of the West. She finds instead a world of sensuality beyond anything previously experienced. She meets a movie star, goes on bike rides with boys she doesn’t know, and learns about the perils of falling in love from the plight of an older revered man. Time and again, she comes back to India, as a wife and a mother, to rediscover the earthiness and passion of her youth.